St. George’s Anglican Church, a former Episcopal Church congregation which disaffiliated from its former denomination, has negotiated with the Diocese of New Jersey to retain its church buildings and tangible property with complete independence from The Episcopal Church (TEC). The congregation is now affiliated with the Convocation of Anglicans in North America (CANA) under Missionary Bishop Martyn Minns and the Anglican Church in North America (ACNA) under Archbishop Robert Duncan. “We are extremely grateful that the congregation of St. Georges Anglican Church is able to retain its property. This is an incredible blessing and witness to others that Christians can resolve these matters amicably. We are also thankful that the church has been able to maintain a cordial relationship with the Diocese of New Jersey. I trust and pray that St. Georges Anglican Church will continue to serve the Lord through mission and ministry for many years to come,” said CANA Missionary Bishop Martyn Minns. The final sale of St. Georges church property took place on Tuesday, November 23, 2010. In early January and February of 2008 the former Episcopal congregation, then known as St. Georges Church in Helmetta, NJ, cut its ties to TEC and the Diocese of New Jersey because of theological differences. Fr. William Guerard, St. Georges parish priest, maintained an amicable relationship with Bishop George Councell of the Diocese of New Jersey throughout the division. Fr. Guerard was able to transfer to CANA as an ordained Anglican priest without being required to renounce his ordination vows unlike many other Anglican clergy who have left TEC for CANA and other Anglican groups. Our constant prayer throughout these two years has been for Gods will to be done, he said. We are all thankful that this has been accomplished peacefully, and we pray it will set a precedent for other churches going through similar situations. Let us return to the work of proclaiming the Good News of Jesus our Savior who has come to bring us light, peace, and salvation. Beginning in January, 2009, St. Georges Anglican Church began negotiations with the Diocese of New Jersey which finally ended in an agreed monetary settlement. Let it shine, let it shine! This entry was posted in ACNA, Anglican News, CANA, Episcopal News. Bookmark the permalink. Does this sale have the support of 815? Has KJS signed off on it? Remember what happened in Virginia. Don't forget KJS' policy of not supporting sales to churches claiming to be Anglican. I fear folks may be counting their chickens before they hatch. Depending on the response from 815, this could be a real breakthrough. If the bishop stands his ground against the expected response, this could be an even more important breakthrough. Am I correct ? The congregation bought their own property from the diocese? Unfortunately, I agree. Just wait until KJS hears about this. The lawsuit cannot be far behind. The sale was completed more than a month ago. I would be very surprised if the national church were not aware of it and had not clearly indicated that they approve of or at least accept the transaction. If 815 actually accepts this sale and is not just taking its time to weigh its options or to pressure the bishop into an about-face, then it may signal a significant change in policy, a change that would not only benefit departing congregations but TEC and 815's public image and diocesan bank accounts. Yes, we've been aware of this event but wanted to be sure it really went through before posting. It is really the most excellent news. There are signs that other dioceses are following in New Jersey's footsteps as well. I am reminded of the song, Tell old Pharaoh: Let My people go. As I recall, Pharaoh changed his mind, and the end result was that Pharaoh's chariots got drown-ed. Keep us posted if the situation takes a turn. This is a hopeful sign. However, the cynic in me asks whether temporary sanity on lawsuits was not part of the price that KJS paid to ++Rowan for her invitation to the primates meeting. Once that meeting is over, will it be back to business as usual for KJS? Still, one prays that 815 has come to its senses, and that Rowan will come to his, and restore discipline and order to the Communion, by restoring the Instruments of Communion, and enforcing their decisions of the last 8 years. According to this account, 815 was not happy, but was told to pound sand by the bishop. The settlement involves a down payment of $30,000 with periodic payments for several years thereafter. One question is whether the property was “sold,” or was this an agreement by the Diocese to abandon forever any claim of a beneficial interest in the property under trust. In Virginia, all of the ADV parishes own their property, at least, they (or trustees for the parish) are on the deed. If 815 is unhappy but could do nothing about the NJ settlement, this suggests that these property questions really can be resolved at the diocesan level. Also, was there a lawsuit? There is no mention of legal action by the diocese or 815, again underscoring that the diocese may hold the cards here. I do think the Diocese of South Carolina called the question. At the end of the day, the diocese is left holding the purse. And in the Diocese of Virginia, which has the “Virginia Plan” and not forced assessments – the Laity actually do hold the purse. What we saw at the last Executive Council meeting in Utah was that 815 is facing very serious financial problems and have taken out bridge loans which they haven't paid back and took out more loans to cover old loans. Emotions and feelings are frayed – that is true for all parties – all parties. At the same time, the Church of England recognizes that the separating churches are Anglicans who wish to remain Anglican. It's sort of stating the obvious. And at the same time as that – Episcopal and Anglican laity and to a certain extent clergy as well – are finding ways to do ministry together, and in fact in Virginia are finding ways to share the facilities as happened at Truro over the summer with an Episcopal parish in the Diocese of Virginia. Personally, I gave a contribution to the building of the chapel named for Bishop Lee at Roslyn. He was a wonderful bishop for a very long time and I thank God for him. I receive cards and letters updating me on the chapel from the Diocese of Virginia. I rejoice in that fact. I pray we might find a way to support Shrine Mont together, as Anglicans and Episcopalians. Perhaps it will be there in the shadow of the Cathedral that we may find our common ground. In fact, Shrine Mont would be great place for both parties to come together to pray and and seek resolution. It is hard not to feel hope in this news. I remember at the court hearing earlier this fall I looked over and saw David Booth Beers and yes I felt a lot of rather negative feelings. But I reminded myself that Jesus loves him very much. That's just a fact. It was quite something to see him again at this last hearing smiling and showing a side of himself we have never seen before. It is, I think, a good time to pray. While a negotiated settlement for the VA churches would be a wonderful happening, the realist in me says this is a far more ego filled battle than the fights over individual church properties. The offer to negotiate has been on the table from the CANA churches since the lawsuits were filed, but to date, DioVA/TEC has not chosen to follow that course. It could be that abandoning the suits after dumping millions into them would be too difficult for TEC to justify. I also see no indication by Bishop Johnson that he is any more ready to defy 815 than was Bishop Lee. We have all started dumping money into the next rouhd of the litigation. If there is no movement toward negotiation in the next month or so, I think we should be prepared for the next phase of the mega-millions legal lottery game. 1. How did South Carolina “call the question”? This is the second time I've seen reference to this here, and it is not clear to me what question (or “bluff”, as used a week or so ago) was called. 2. Is this NJ matter really that unusual or astounding? It seems materially distinct from the situations in which litigation ensued where parishes or, in the cases in California, Pennsylvania and Texas, even persons representing themselves to be the entire diocese, have departed while purporting to take everything that was or wasn't bolted down with them without compensation to or accommodation of those who did not leave. In those latter situations, how could there be anything but litigation? I don't know anymore about this (the NJ matter) than what is in the CANA church's press release. However, it appears that the issue of property rights was conceded to the diocese by the departing group and appropriate compensation was agreed to. They're buying the church and paying for it over time. That seems radically different from situations where departing groups simply claim ownership and occupy a property. 3. Steven: The question of who “owns” the property in Virginia is very much at the heart of the issue (you take it for granted that something called “the parish” is the owner. If the ownership resided in an Episcopal parish in, say, October 2006, when and by what mechanism did that ownership shift to a CANA parish in, say, January 2006? Where in the canons or by-laws of the parish or the Diocese of Virginia is the procedure by which that happens? If there remains an Episcopal parish (as, for example, at the Falls Church), what happened to divest that parish of right of possession and ownership? Does this happen under canon law or under secular law? If neither, how does it happen? 4. BB – I don't know him particularly well, but I'm sure David Beers is an eminently human individual. The only reason it would be “quite something” to see him smile is that people have allowed themselves to fall into a mindset of demonization about all things associated with Episcopal offices and functions. You should see (never mind, you have seen, we've all seen) some of the crazy and downright mean things that people reflexively say about not only Beers, but the Presiding Bishop and even the Archbishop of Canterbury. It's gotten almost Pavlovian for people just to tee off even on rather innocuous matters like holiday messages etc. 5. Why would Shrine Mont come into the property discussion in any way, shape or form. Even the most exuberant CANA property claims have not extended to that facility, have they? Scout: When BB says that South Carolina “called the question,” I believe she is referring to the fact that in a case before it recently, it ruled in favor of the departing parish notwithstanding the supposed trust created by the “Dennis Canon.” Up until then, the courts had generally ruled in favor of the EC and the diocese. Now the EC may begin to realize that this could happen elsewhere. I can't speak for the other dioceses that have withdrawn from the EC, but I can tell you that in Fort Worth, the diocese has always been willing to discuss a settlement with the EC and its local affiliate (and from the beginning it has released it's interest in properties owned by some parishes that wish to remain in the EC), but the EC's local affiliate has taken the position that the only thing they are willing to negotiate is an orderly turnover of all church property to them. This is consistent with the Presiding Bishop's deposition testimony in the Virginia lawsuits that she did not approve of a diocese's selling church property to a parish affiliated with another Anglican Province. So what has happened in New Jersey. Has the Presiding Bishop concluded that a “one-size-fits-all” approach doesn't make sense, and that while some properties may be worth litigating over, others aren't? Or did the Bishop and Standing Committee of New Jersey realize that even if the Presiding Bishop doesn't approve of a sale, there's really nothing she can do to stop it. I hope it's the former. As for the departing parish conceding the issue of property rights to the diocese, we'd have to see the settlement agreement, but such a concession would not necessarily be required. It could be simply a matter of the diocese transferring whatever interest it may have in the property to the departing parish. The parties wouldn't even have to agree on what that interest is because the agreement renders the question moot. Correction: In my question to Steven, above, “January 2006” should read “January 2007.” When one gets old, dates run together. Sorry for any confusion. I hope the point was not obscured by that slip. Paul: my guess or assessment is that there never was a “one size fits all” position from 815. To my knowledge, every litigation scenario has involved a unilateral assertion of possessory rights by departing groups, and, in many cases, the hostile occupation of properties to the exclusion of continued use by Episcopalian clergy and worshippers. In the Diocese of Virginia, at least one parish was permitted to negotiate arrangements for departure under which they continued to occupy Episcopal property until such time as they could build their own facilities. After that, the property will be returned to the Diocese. ( I believe some lease payment covers the use in the interim, but it could be that the departing group simply maintains the property until their new quarters are completed). The distinction I think is that the Church is not inclined to negotiate with people who seize property, assert ownership, and then offer to bargain for it. That strikes me as a very reasonable, even unavoidable position. Anything else would simply encourage others to radical Self-help measures. The NJ situation sounds very much as though the departing group simply approached the Diocese from a position of not laying claim to the property, but proposing an arrangement that reflected the interests of both sides. You are, of course, right that the settlement agreement may not, in haec verba, reflect a concession of ownership rights prior to the conclusion of the agreement. No need for that. But it does not sound as though battle lines were drawn through resort to legal stratagems to assert a right simply to take the property. That has happened elsewhere, as you know from your own direct experience. Shrine Mont is a ministry and in great need of financial support. 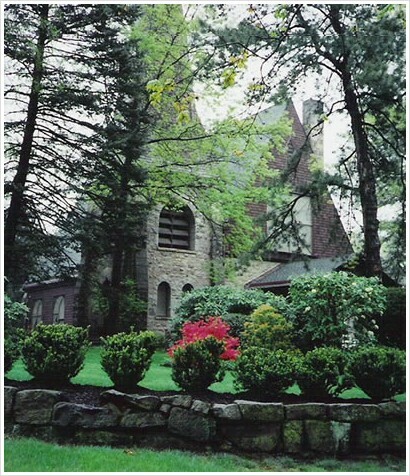 According to a 2009 report, Shrine Mont has suffered from “recent diocesan funding cuts, higher registration fees and lower attendance.” Like other ministries that both Episcopalian and Anglican laity are sharing together, Shrint Mont could be another ministry that both Anglicans and Episcopalians could partner together for benefit of all, particularly for the Diocese of Virgina's Conference Center. It could also be a wonderful location for all parties to meet together to begin taking steps toward resolution. One of the reasons the New Jersey settlement is such good news is that it does indicate a change of heart from the Presiding Bishop from what she testified in her deposition in the Virginia cases. Q. So you would refuse to allow congregations to purchase the church buildings they had been using, regardless of the amount of money they wanted to pay, if they were going to affiliate with another province of the Anglican Communion? A. That has been my position. This has been her universal position on all properties. Therefore, New Jersey's resolution offers us hope that as Dylan says in his Oscar-winning song, “Things have changed.” May it be so. The Diocese of New Jersey recently sold church property to the congregation formerly known as St. George’s Episcopal Church in Helmetta, New Jersey. The sale was approved by the Rt. Rev. George E. Councell, Bishop, and the Standing Committee, with the guidance and support of Canon John Wood Goldsack, Esq., Chancellor of the Diocese. In their consideration of this sale, the Bishop and Standing Committee followed a process outlined in a pastoral direction that they adopted in 2008. The process provides that if the Bishop, in consultation with the Standing Committee, determines that the sale of parish buildings and property is not inconsistent with the mission objectives of the Diocese, such a sale may be considered and approved. Historic it may be, but a pattern I wouldn't assume. I just can't believe that Jadis will relent. If so, it may be a Pharaoh-like switch. I also don't see these court disputes as a fight between the good guys vs the bad guys. I see them as good faith disputes over property rights, and one of the reasons we have courts is to resolve those disputes when the parties are unable to resolve them among themselves. The outcome will depend on how the courts in each state apply that state's laws to the specific facts of the case before them. Anon 0320: is it equally wrong for people who leave the church to go to court to take property with them? Paul Powers' 0004 comment is about as sensible a comment on this issue as I have seen in some time. I think that, in fact, it does reflect current practice, given that there are variations from Diocese to Diocese depending on the circumstances in each. Truly, a blessing for the parish of St. George's. A far better outcome than to see it desecrated with a crescent and green door, ala Binghamptom style. Scout – if you own your house and someone else in the family takes you to court claiming they own it, you would not defend yourself in court? I agree that just walking away might be right for CANA parishes but I really sympathise with them – given 815 did not buy or maintain their properties….they did. An outcome of the NJ case seems to be that both the diocese and the departed congregation accept, by the payments central to the settlement, that the church buildings and property were legally owned by the diocese. Who is “they”, Anon 0315? The problem with your analogy to your hose or my house is that it could equally apply to either faction in these disputes. You, like some others here, simply assume that ownership belongs to the larger number of people in any given parish with a view on an issue that causes schism. You further assume that those with a minority view, who contriubted just as generously to the upkeep and maintence of the property, as well as those, past and present, who have no view whatsoever on the wisdom of departing, are essentially zeroes worthy of no consideration. What has happened is that where, in former, saner times, a person leaving a church would not presume to take property with him, we now have people who assume, I guess by force of numbers, that they can do just that at the expense of persons who, presumably for reasons equally valid to those that motivated the departures, decided not to leave. It is anarchic behaviour to which a Diocese cannot responsibly submit. Lapinbizarre: Not necessarily. Without reading the settlement agreement and related documents, all we can know for certain is that the parish agreed to pay the diocese to buy out whatever interest the diocese may have had in the property. The parish's position could just as easily have been that they did not agree that the diocese had an interest in the property but that it would be more advantageous to make a cash settlement with the diocese (with no admissions by either party) instead of going to court. Scout – you think you know what I am assuming but are not accurate…I am assuming that buildings that existed before TEC existed were not necessarily built by or for TEC…….. an amazing idea? But TEC has taken people to court to take such buildings…. even though no central organisation paid for or maintaine those buildings. Now, you might argue that thse sued should have given up their buildings….but I can understand why they did not – given their buildings pre-dated TEC and were not maintained by TEC. Anon 0324 (I hope you are in a time zone well east of here): I know of no cases where there has been litigation where the people who left: 1)pre-dated the Episcopal Church in the United States: 2)where the people who left had a different or superior possessory interest in the property over the people who stayed (who also paid for and maintained the buildings); 3)where the buildings were not paid for and maintained by generations of worshippers who had no known views on the merits of leaving or staying; 4) where the parishes and dioceses involved had not agreed, in some cases over the course of as much as two centuries, to be bound by their own by-laws and canons and those of their Diocese and the Episcopal Church: and 5)where there existed by-laws or canons that contemplated that a group of departees could extract themselves from the church under conditions which enabled them to take real or personal property (including accounts) with them. I don't pretend to be familiar with every case, but where the church building(s) pre-date the founding of the Episcopal Church, there usually is an abundant documentary record (as in Christ church Savannah or in some of the old Virginia parishes)of pledges, undertakings and courses of conduct of submission to the rules and canons of the diocese and the national church. Moreover, I'm not sure why the date of the buildings has anything to do with it – why should someone who departs today get to take the property of the church with him/her because the building was built in colonial times, whereas someone who departs a church built after 1800 could not? The older the building, the more likely that an enormous number of people who had nothing to do with present brouhaha “paid for or maintained” the buildings. Not sure why some transitory group in the fleeting present should gain potentially perpetual legal rights in that situation just because they happen to be in the mortal here and now. The structure of the church and its governing documents contemplate robust local support for the physical plant of places of worship, but says nothing about such financial support creating property rights. Finally, I believe that in all cases, it is not only the national church that has brought suit, but also the relevant Diocese. I suspect I share with you some reservations about the appropriate role of the national church in these disputes. But I have no doubt that diocesan bishops have every obligation to protect continuing parishioners, present and future, against efforts by departing parishioners to assert secular legal title to these premises. I have conceded here (in the somewhat distant past) that if there is a church somewhere in which every adult member who founded the church and who remains active in it, and paid every penny for its construction and maintenance, desires to leave, with no exceptions, and whose by-laws, canons and instruments of governance permit departure with property, and who have made no contrary pledges or undertakings to their Diocese or the national church, they may have a legal case for departure with property in tow. I do not believe those facts exist anywhere in the Episcopal Church, so I think that is a hypothetical rooted in fantasy, not reality. 815 is the nickname for the Episcopal Church headquarters (and office of the Presiding Bishop) in Manhattan.